It’s gray and rainy today, but the City of Lights is still a delight. The Experienced Travellers look forward to sunny weather tomorrow. But rain or shine, we must do our errands. 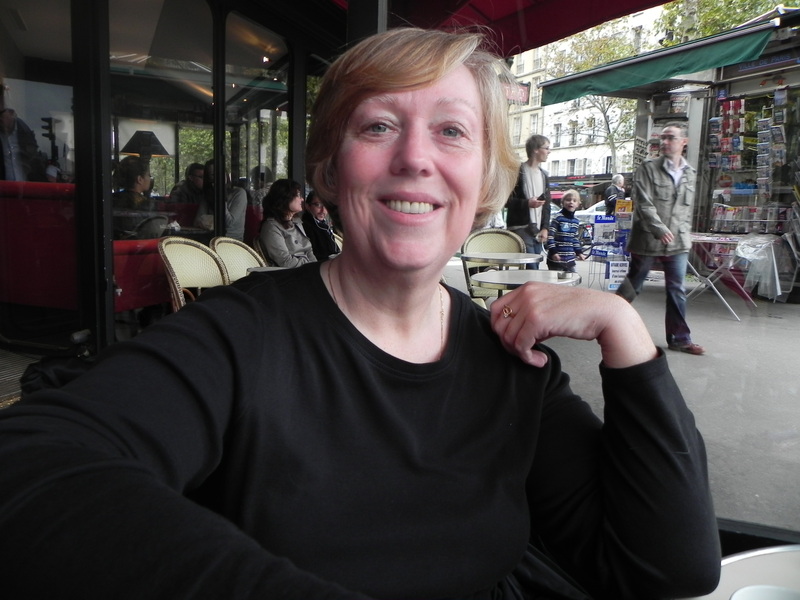 First, a great disappointment; Catherine, the discount perfume store on the Rue Castiglione is gone. We appreciate the sympathetic Lalique saleslady who recognized this serious emergency and sent us to another store on the Rue de Rivoli. Nurse will float on a cloud of Mark Jacobs. For me – once Chanel, always Chanel. 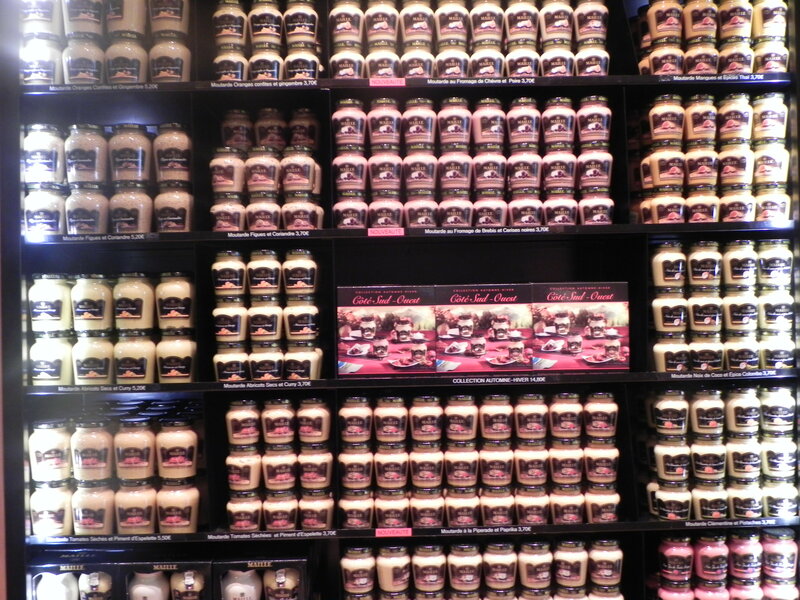 The Parsian firm of Maille is famous for it’s dijon mustard and cornichons since 1747. By 1769 it was the official supplier of vinegar to the King. Today, Maille is the official supplier of a certain Provencal mustard chez nous. 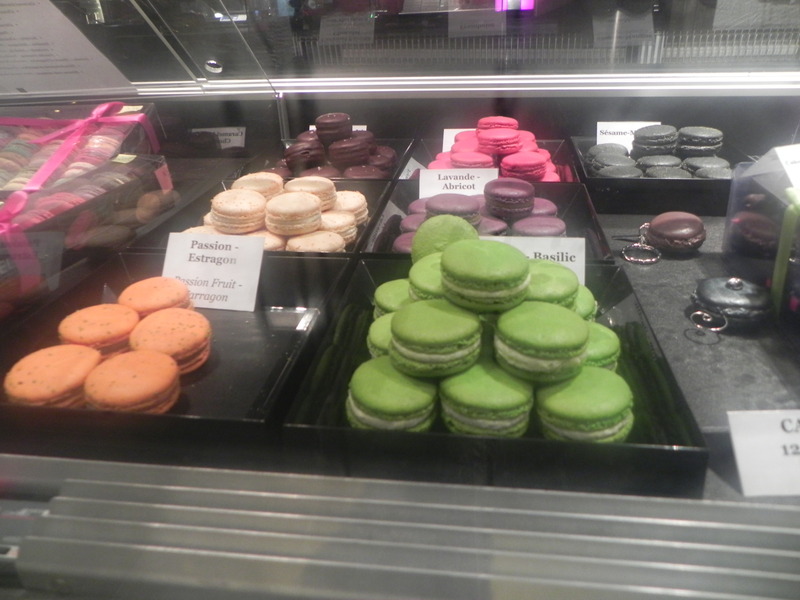 Then a lingering stop at Fauchon for some red sea salt. The Experienced Traveller never passes up an opportunity to use facilities. 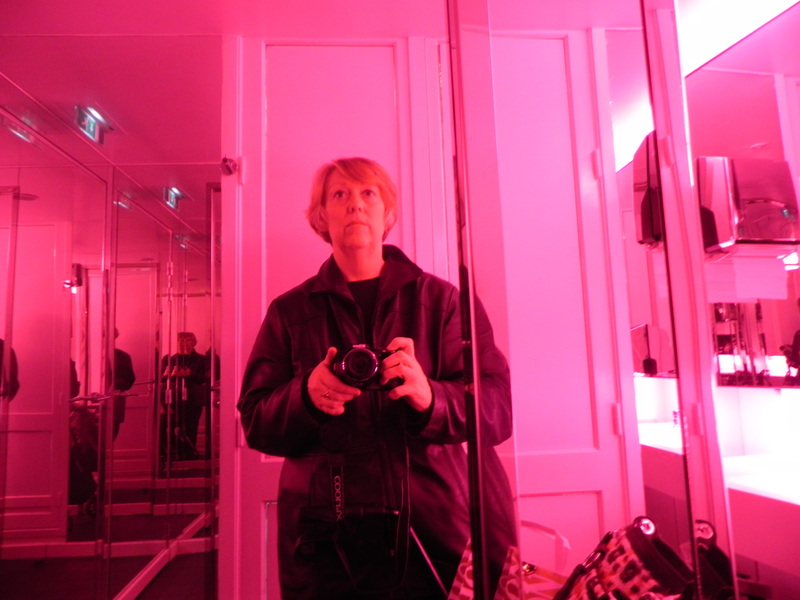 But who expected avant garde washrooms at Fauchon? 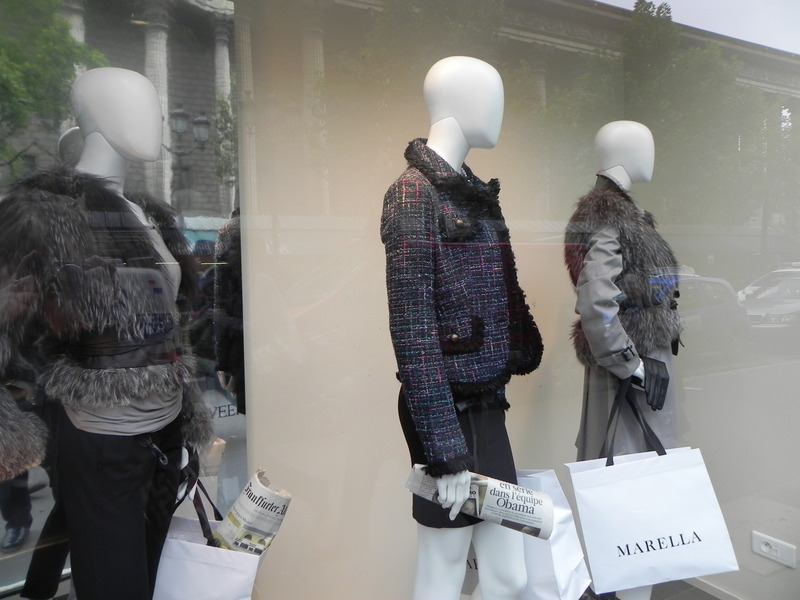 Errands beget windowshopping, which is a Parisian sport. ETs must be sportif as well and we did our best to excel. Storher came to Paris in 1730 with Louis XVs Polish queen and made a reputation with brioche. 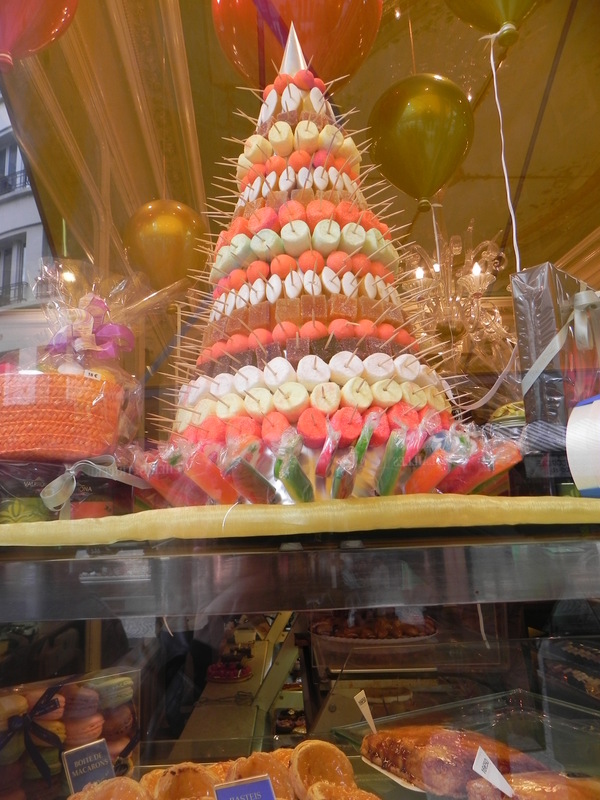 Here's his shop window today featuring fruit candies. Laden with packages and filled with windowshopping dreams, ETs are rewarded with a pot of tea and an outdoor table in the late afternoon. 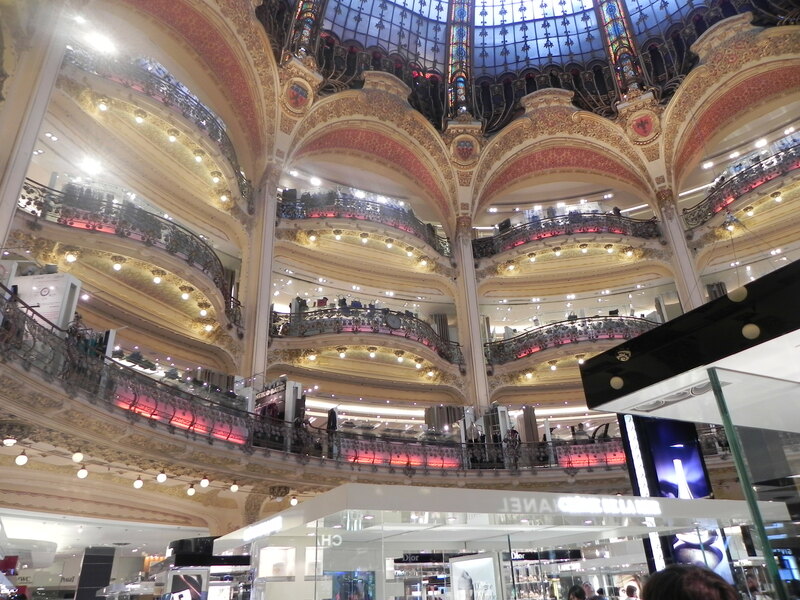 The Experienced Travellers made their ritual visit to the Galeries Lafayettes, the famous Parisian department store. Hot. Crowded. Madhouse. Today was Monday, when most museums are closed. So everyone with a passport and a 10% discount coupon headed to the Blvd. Haussmann to do some damage. At any rate, I very quickly chose one top, and Nurse made me an early birthday present of a snazzy black jacket with a 19th century military motif. I will make the perfect supernumerary in an Offenbach opera. 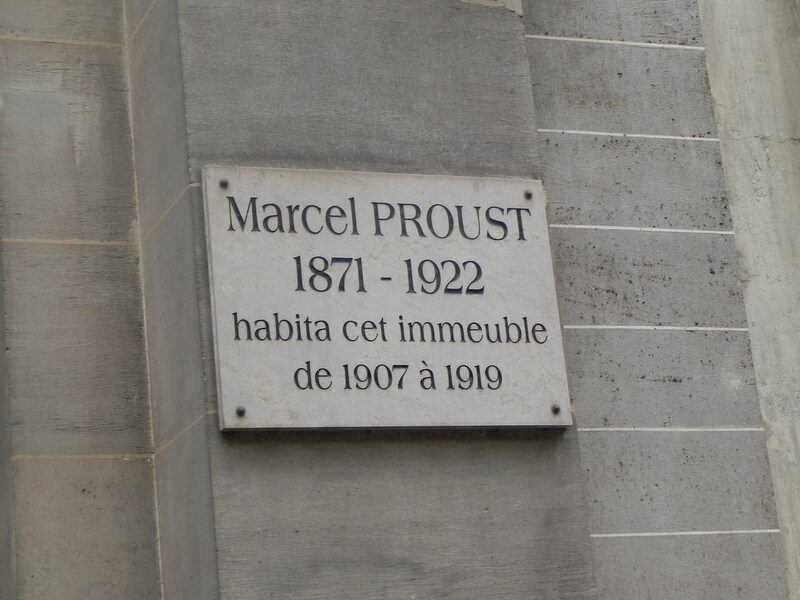 I cried out to the driver “arrêt!, arrêt!” The frightened man pulled over so I could photograph and share this important moment with you. Clearly, there must be a trip back to the Blvd. Haussmann so I can gain entry to the cork-lined room. I will use all my wiles and powers of persuasion. Nurse can find a comfortable cafe where she can wait and pretend she doesn’t know me. 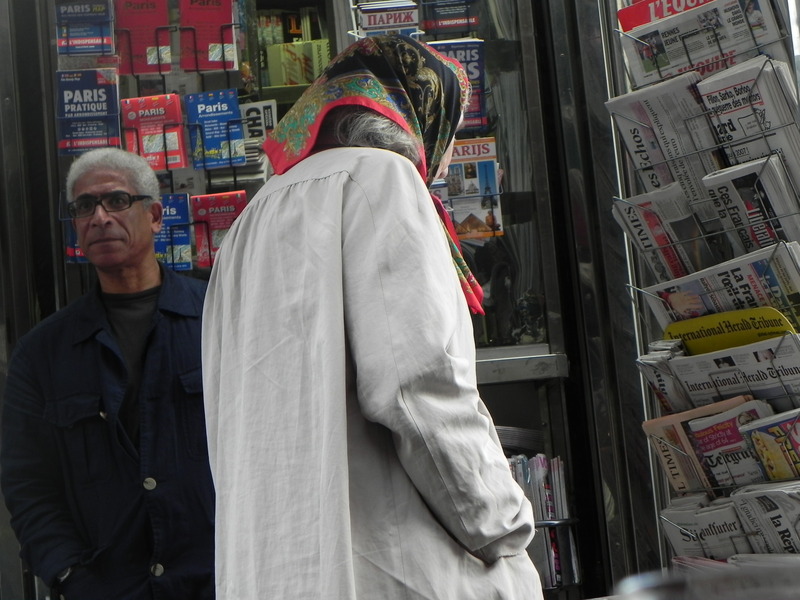 There were still groceries to be got, but Experienced Travellers never shop in a weakened state. 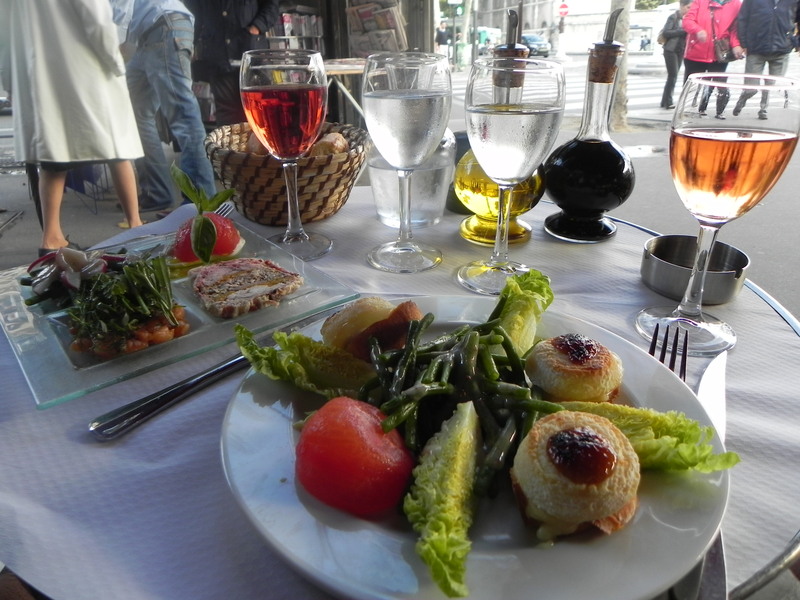 We drew strength from a small snack of rabbit terrine; salmon tartate with fennel, dill and chive; bufala mozarella and warmed goat cheese on croutons with green beans, hearts of lettuce and a peeled tomato. Did I mention the wine? Thanks to our restored state, we were capable of asking a nice lady in the wine aisle for advice, and came away with a 2-euro bottle of Bordeaux. Report forthcoming. 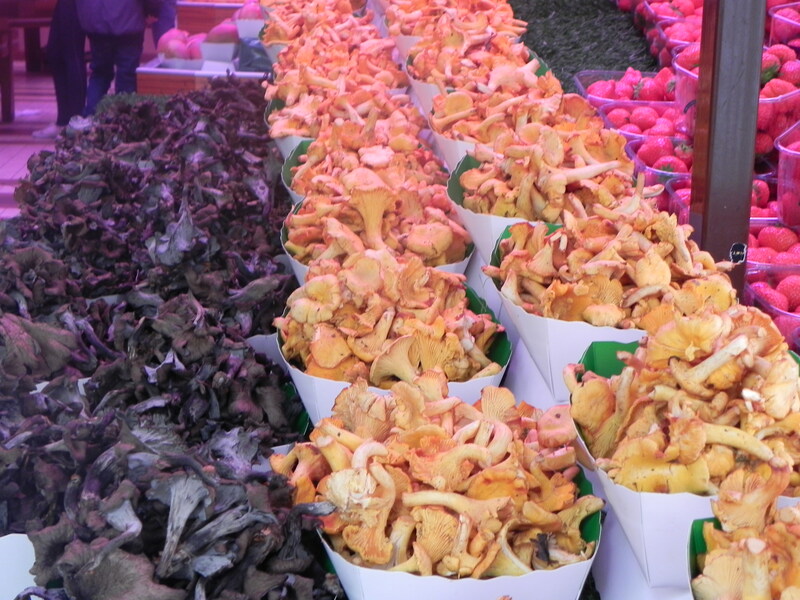 At the produce stall, the radishes aren’t in yet, but the mushrooms are. 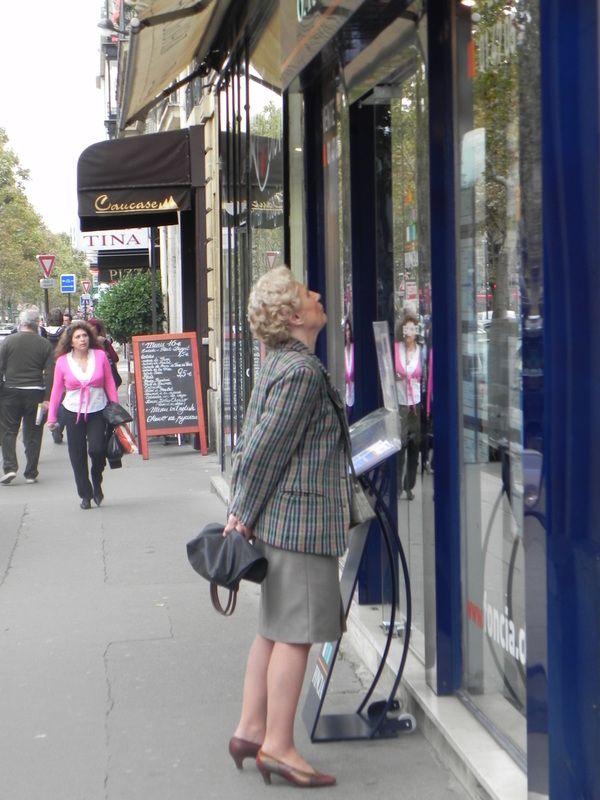 Our shopping was done, but this Parisienne enjoyed window-shopping at a real-estate company on the Ave. Bosquet. I wonder if there’s something there for me too? Travellers Note: Thanks to all of you who expressed concerns about the warnings to US citizens in Europe. We’re paying attention and we’re staying put.